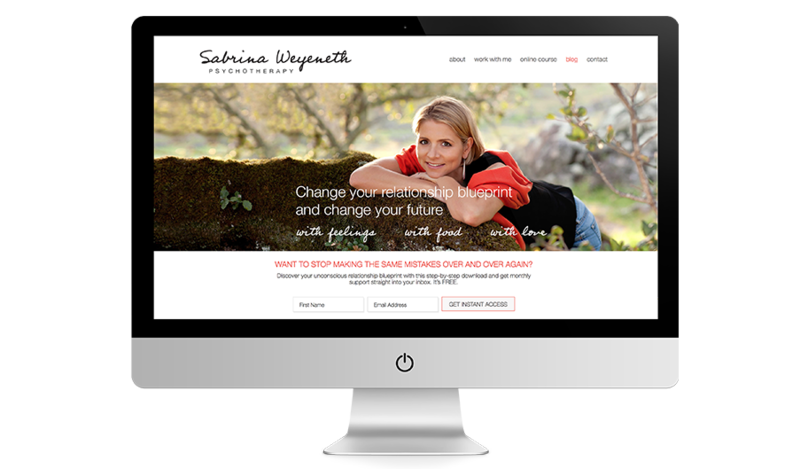 Sabrina Weyneth is a psychotherapist specializing in relationship issues, anxiety/depression and disordered eating. She is a kind and committed individual who is dedicated to helping her clients get over their issues with food. 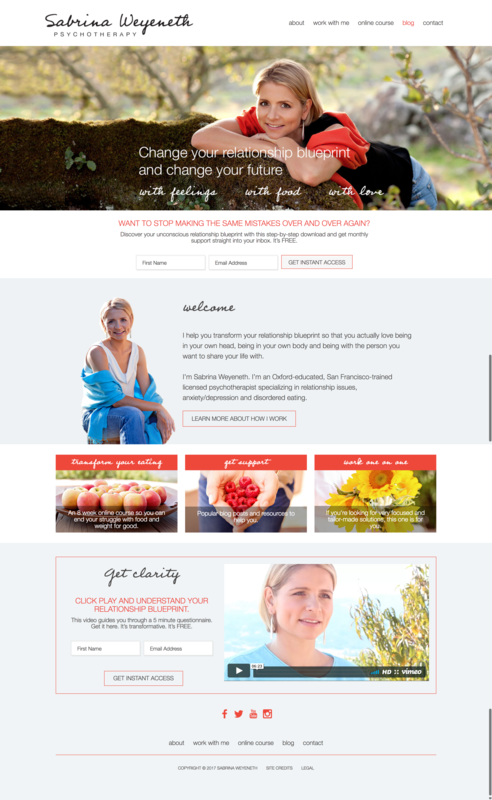 Sabrina wanted her site to be clean and open, with lots of white space, and a simple colour palette that pairs well with beautiful food imagery and Sabrina’s own original photos. A simple and considered decision on typography completed the look.